Thom Singer has an eclectic background working in sales, marketing and business development roles for Fortune 500 Companies, Law Firms, and entrepreneurial ventures. He believes that all opportunities come from people, and when we work together to find “cooperative significance” with others we all discover more success. Singer is a motivational speaker with actionable content. He can also serve organizations as a professional master of ceremonies, breakout trainer, consultant and facilitator. He is the author of twelve books on the power of business relationships, business development, entrepreneurship, sales, legal marketing and presentation skills. Thom speaks regularly at business and association conferences around the United States and beyond. He is also the host of the widely popular “Cool Things Entrepreneurs Do” podcast. On this show he interviews entrepreneurs, solopreneurs, and business leaders from a variety of industries. He encourages his guests to share tips and ideas that can help those with an “entrepreneurial spirit” find their own path toward success. 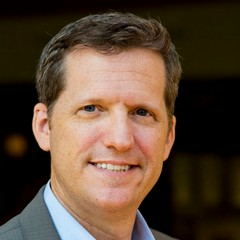 Find out more about Thom Singer at http://www.thomsinger.com.